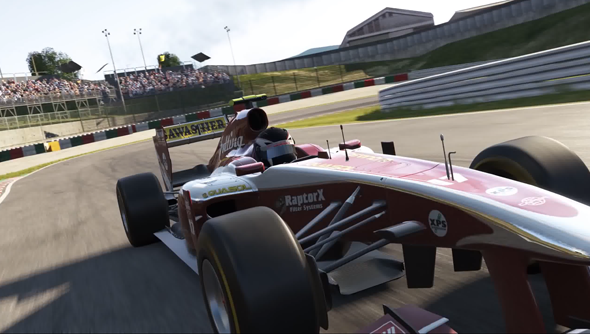 With its “Early 2014” release date already seeming all too far away, one of Project CARS’ players is further teasing us by putting together a new trailer showing cars going fast and looking good. I should stress there’s no new information about the game this is just a video of a game looking good. Every inch of the game is looks lovingly crafted. Yes, the cars are highly detailed and some of the best looking models in a racing game, but look at those track environments, too. The world is full of trees, barriers, crowds, and other incidental details and they don’t seem to show the hallmarks of other racing titles. Namely, flat sprites that rotate to face the camera, or low-res textures that can’t stand up to inspection. I’d love to spend an afternoon with this game to see if the rest of it lives up to the visuals.